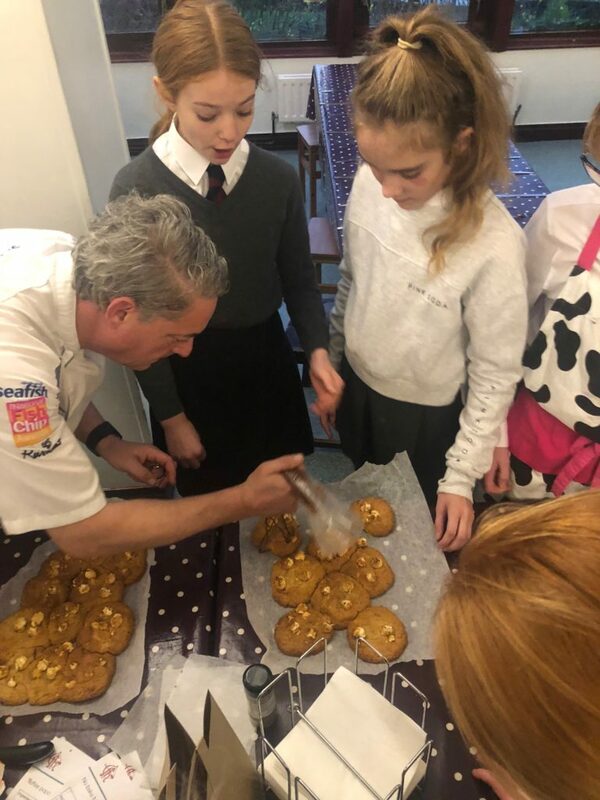 Year 8 pupils had the privilege of taking part in a workshop led by local chef Rob Green. Held at school, Mr Green’s workshop introduced pupils to basic food preparation rules and skills. It goes without saying . . . it also offered a chance to sample what they made! Whilst children did bring an apron or a top that they did not mind being covered in any of the ingredients, this did not stop a bit of messy fun! Thank you, Mr Green, and we look forward to the next workshop!